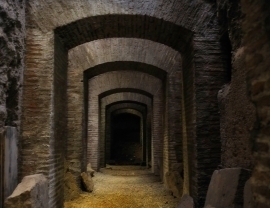 Walk down a true Roman street as if you were in Roman times. 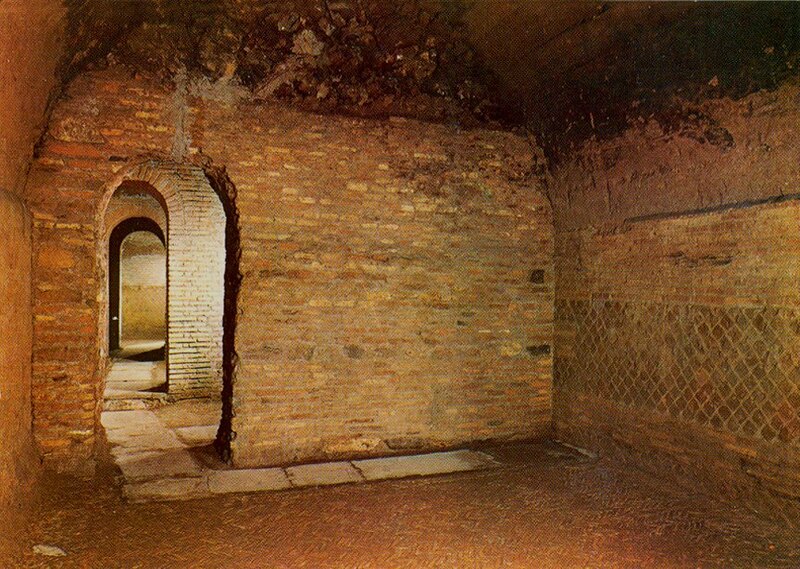 Enter the Mithraeum to worship the Oriental god, take a few steps in the adjoining insulae. Two thousands years ago is today in this enchanting underground site. Ancient Rome is awaiting you in the darkness of a long-gone night. The insulae are all around you, as you walk down the deserted alley leading to a Mithraic place of worship. 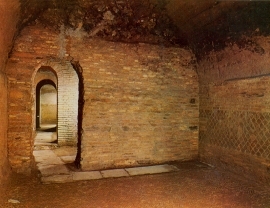 The silence is perfect, but for the sound of water running in the depths of Rome, a source whose water was there since the times of Emperor Nero. 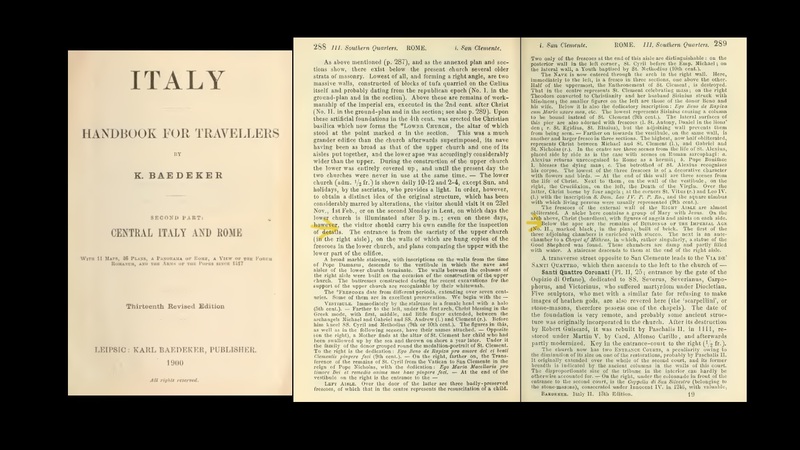 Your step resounds in the deserted street, in the rooms of the empty insulae, and you would not be surprised to see in the distance the shining armour of a legionary watch patrolling the city asleep, in the dim light which pervades the whole area. 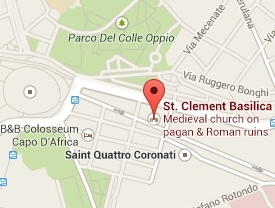 All that is the Church of St. Clemente, a time machine launched towards Rome as it was in the first century. Time has stopped here, and from these streets Rome still holds the power over the known world. 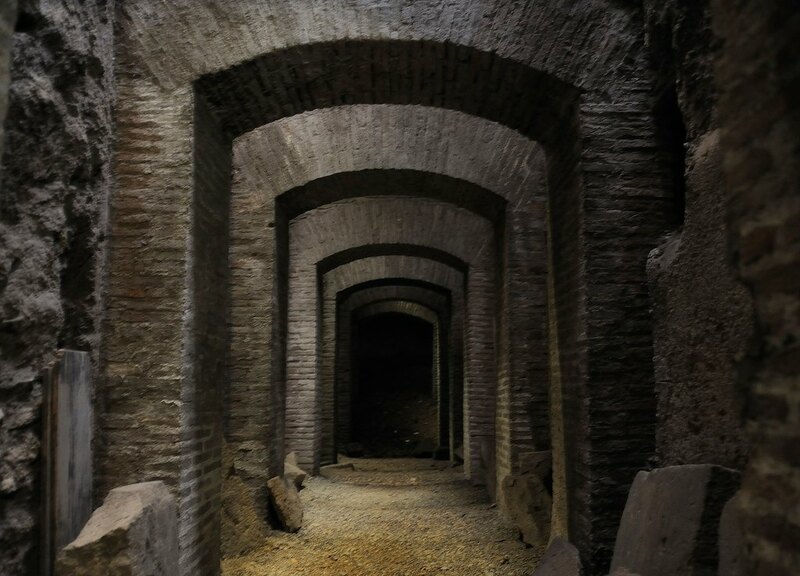 The subterranean night, artificially created by the excavations carried out in the nineteenth century, renders the dream a true reality. 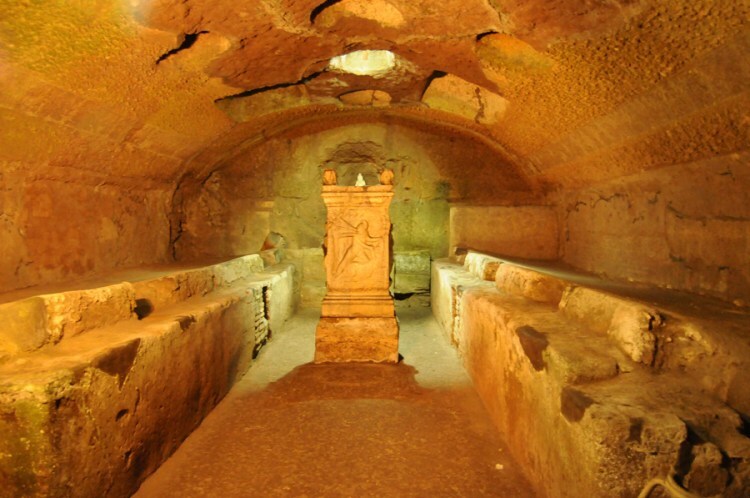 You won't forget St. Clemente, nor the leap across the centuries you will experience by paying a visit to this fantastic site in Rome.